“The cover sells the book.” In the same way, a natural-looking hairline is the measure of a successful hair transplant. No one should have artificial-looking “plugs” anymore. With the development and refinement of follicular unit micrografting by hair transplant doctors, a natural-looking hairline is possible for patients with “plugs” seeking hairline refinement (also known as hairline correction). In the past, “punch” style hair transplants often looked like doll’s hair, creating an artificial appearance. Scalp from a donor site on the patient’s scalp was removed and transplanted. A single incision held 5-10 hairs. This type of hair transplant was often noticeable and unnatural-looking. Some patients who received these transplants are now seeking hairline refinement, utilizing the latest hair transplant technology. In the early 1990’s, Dr. Larry Shapiro realized that the most natural way to put the hairs back into the scalp was to cut the hairs into natural groups of 1 hair, 2 hairs or 3 hairs. “Follicular units” is the name given to these bundles. Dr. Shapiro developed special blades to prepare these follicular units and put them in the scalp, creating a natural look. Smaller follicular unit micrografts of 1-3 hairs are used at the hairline, and they carefully selected and placed to match the natural direction of the hair. Larger follicular unit micrografts can be used to fill in the rest of the balding area, if needed. When the latest hair transplant techniques are utilized, a “pluggy” look is no longer necessary. Follicular unit micrografting by a skilled hair transplant doctor is the ideal way to camouflage, soften or refine the hairline. 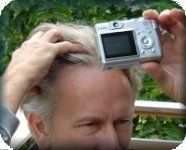 This entry was posted in Baldness, Hair Loss, Hair Problems, Hair Transplant, Hair Transplants on December 31, 2009 by Larry Shapiro.